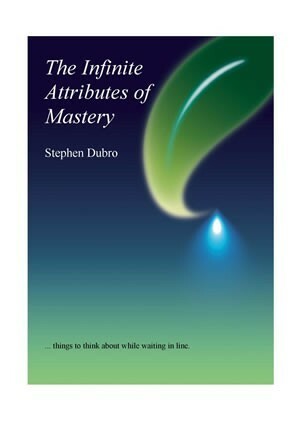 The intent of this booklet is to stimulate thought about the Infinite Attributes of Mastery. The 44 Attributes of Mastery presented here are the foundation of Masters in Practice Phases V-VIII of the EMF Balancing Technique®, created and conceived by Peggy Phoenix Dubro. These attributes are interconnected and inseparable from one another, all aspects of the most powerful force in the universe, the energy of love. What do these attributes mean to you? Do you wish to expand or modify any of the definitions, or add another attribute to the list? Please do! The way you live your daily life determines to a very large degree how you evolve and grow. These attributes are aspects of yourself that can be consciously evolved via awareness and practice in everyday life, even when waiting in line at the market. Practicing any of the attributes in your daily life can be profoundly rewarding, and perhaps even more amazing, it can be fun. If you are fortunate, the practice of mastery will take forever, and you will evolve and grow forever!